The scientific name of a honey-producing bee is Apis Mellifera. 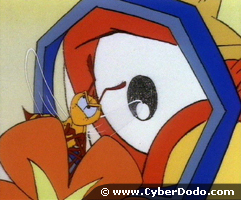 It has a head with two compound eyes having 4000 facets each, 3 simple eyes, two antennae, a buccal apparatus with a tongue and also a sucking pump, and a thorax with 6 legs attached to it as well as an abdomen with a sting at the back. The colony consists of a queen, female bees and male bees. The queen is fertilised by 10 to 20 males and lays 2000 to 3000 eggs a day, the eggs turn into larvae, then pupae, after which, according to the type of food they have received, they either become drones or a queen bee. A queen is permanently in place so as to ensure the continued survival of the hive or colony; she is based at the centre of the hive or colony because this is the hottest place, due to the drones which emit micro vibrations with their wings. The colony consists of layers, with the queen at the center and the older bees on the outer portions, whilst the oldest bees go out to forage. The drones are the only stable members of the colony, depending on the period of the year, there may be between 10 and 30 000 at any one time. In other words, the drone population is lower in winter and higher in spring, due to the harvest. The cycle therefore functions according to the seasons, indeed, at the beginning of spring, there are about 1000 drones and at the end of spring, the hive will have 30 000 drones ready for pollen-gathering. To be able to raise and ensure the survival of the colony, the hive needs a lot of energy, this is why the quantity of honey produced must be high, that is, around 20 kg. Each drone has quite specific attributes in terms of its age. When they are between 0 and 10 days old, their job is to clean the colony cells. (see photo) When they are 10 days old, they are scattered all over the hive so as to ventilate it; when they are about 12 days old, they go to the periphery of the colony and receive the nectar or pollen which is used to produce honey. 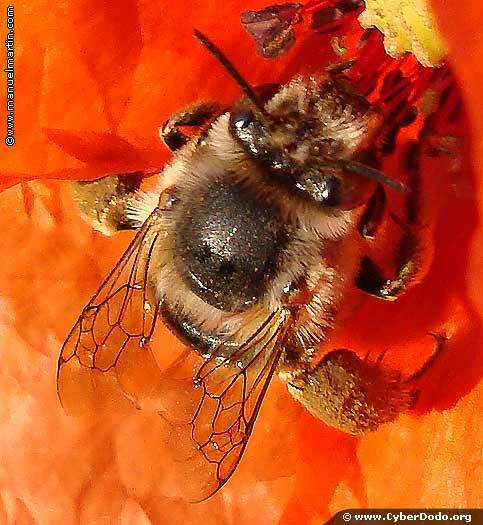 As of the 21st day, they become gatherers and are in charge of finding pollen, nectar, water and resin. The colony operates in an endless cycle; when the queen becomes too old, that is, when she is about 4 years old, the drones raise a new queen. The old queen leaves the colony, taking a portion of the drones with her, specifically, 10 to 15 000 bees. This is before the new queen has hatched, and is known as reproduction by fission. The new queen will then make a single nuptial flight, during which she will be fertilised by the males. This flight is a critical period in the life of the queen and takes place in a specific area of 100 to 200 metres around the colony. The bees which accompany the young queen issue a very powerful substance which is called pheromone, an extremely volatile substance which attracts hundreds of drones that become engaged in a ferocious competition. Mating takes place in mid-air, with the drone's genital organs becoming detached from its body and attached to the queen, after which the drone dies. It is possible that the queen can also lay eggs for the rest of her life.